If you know me, you know there are few things I like more than ice cream. I have a saying that, “there’s always room for ice cream.” And it’s pretty much true. Over the last 10 years of so, I’ve owned a couple of different ice cream makers — an old school wooden bucket model with a motor on top, requiring constant supervision and rock salt and ice that could make a gallon; and a newer, simpler Krups cannister model that requires only a little bit of planning and makes a generous quart. Since getting the new fangled machine (and reluctantly donating the old one to Goodwill on a recent move,) I’ve been honing my recipes. The past few years have almost exclusively been dedicated to chocolate with a few variations. I opt to go with the simplest and fewest ingredients as necessary. My habit had been to buy a quart of half and half, and end up using only 3 c. of it, and then figure out what to do with the extra cup. Recently, I had the revelation that I could just buy another pint for not much more and make 2 batches, resulting in a freezer that is almost constantly stocked with homemade ice cream. I tend to make a chocolate, and then go with some sort of wild card. In summer, when herbs, particularly mint, are abundant, I like to make a vanilla and fresh mint that would change the way you think about vanilla. This time around, though, my wild card was revisiting a Gourmet magazine recipe for Salted Caramel Ice Cream, one I made last summer that was real good. 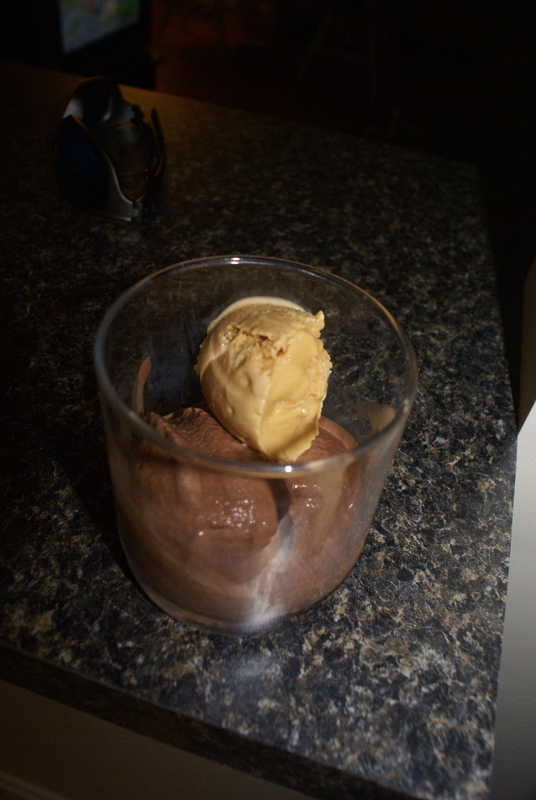 And this time around, it’s easily one of the best non-chocolate ice creams I’ve made. I have found the trick to getting a great ice cream is attaining a smooth, creamy texture. And the trick to that is achieving the shortest freezing time possible. 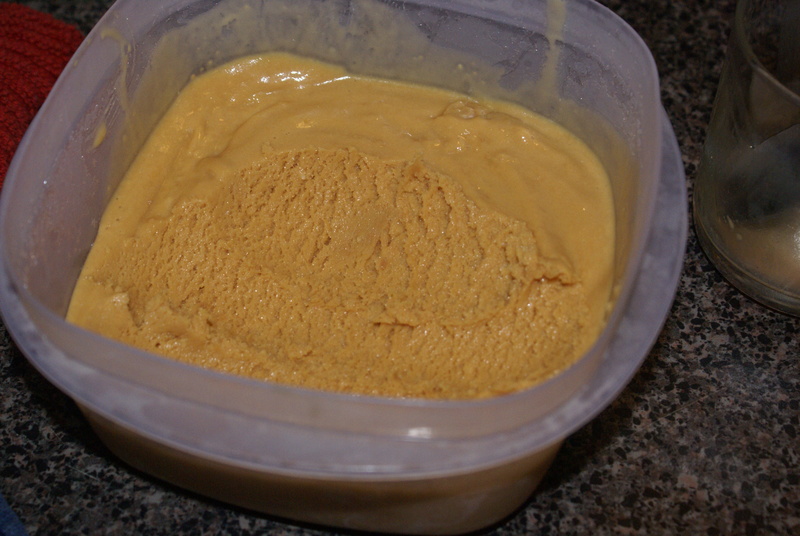 My method involves stashing your mixture in the freezer for 1-3 hours until it’s real good and cold, and then freezing in the ice maker, trying to target the 15-25 minute range for freezing time in the ice cream maker. For those that have never made ice cream in an ice cream maker, the machine should tell you when your ice cream is frozen. The motor will whir to a halt, go in reverse, or turn off completely when the texture has reached the optimal level. It’ll be obvious. Just read your manual. Another technique I’ve been working on in regards to texture is to approximate something closer to gelato. A little lighter, a little less fat, but still creamy and delicious. In addition, in keeping with my simplicity tenet, I’m trying to keep the number of ingredients down. So, I’ve mostly eliminated eggs or egg yolks from my recipes. Likewise, I’ve eliminated the need to combine milk and cream in varying amounts. I just buy half-and-half and call it done. But how can I still get a great creamy texture? The secret ingredient is corn starch. I typically use 1-2 tablespoons, though have used more when appropriate (like when using something like fruit puree that might make the mixture thinner.) When mixing this into your boiling milk, the result is pudding-like, that is to say, smooth, thick and creamy. 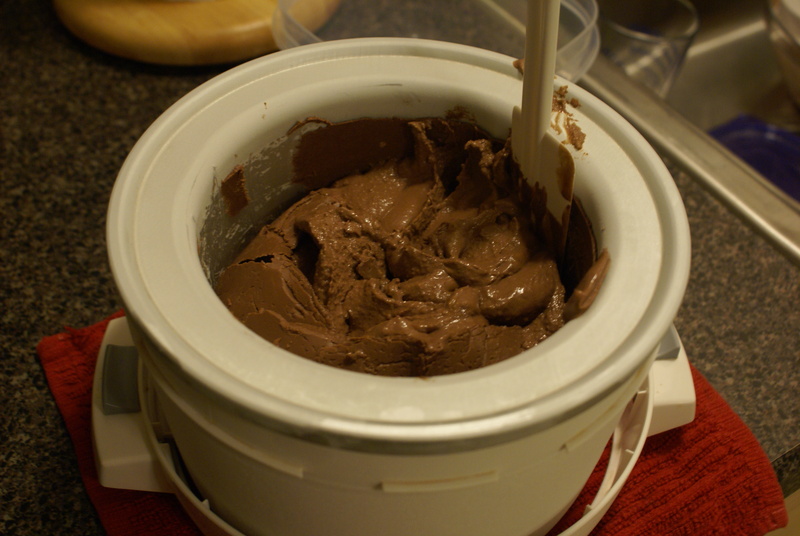 When making chocolate ice cream, use some good high-end eating bars. They’re cheaper than baking bars, and already have sugar in them. You can experiment with different ones to find the ones you like best (my favorites are Dagoba New Moon, Green and Blacks 70%, and Endangered Species.) And stick with dark, high cacao content bars, usually around 70-75%. And use your microwave to melt it. Much easier and quicker than a double boiler. For subtly flavored ice creams or sorbets (i.e. not chocolate or coffee) use vanilla sugar. If you’ve used a vanilla bean for ice cream or anything else, wash it off, let it dry, and then just stick it in a container or bag of granulated sugar. The result is an aromatic delight. Just keep feeding this container more vanilla beans and sugar, and you have a never-ending supply. Alcohol can keep your ice cream from freezing solid. I often have an issue with my ice cream freezing pretty solidly. Alcohol doesn’t freeze, so it should keep your ice cream from freezing solid. Add it to your mixture before freezing. Around a couple of tablespoons should do the trick, but I’m still trying to hone in on the right amount, myself. Obviously use something that compliments your ice cream. Rum, Amaretto, or Kahlua are good choices. I’ve lately been using cherry-infused vodka I made over the summer. Without much further ado, I give you my tried-and-true chocolate recipe and the salted caramel recipe. I’ve been working on the chocolate one for a couple of years and think this is just about as good as I can get. There is plenty of room for variations like when choosing chocolate bars, pick some flavored ones; add some other extracts like mint; or better still infuse your milk with fresh mint or other herbs; puree some fruit and strain out the seeds; add some instant coffee or espresso powder. Break apart your chocolate bars into a microwaveable bowl and melt in the microwave. Work in 30 second intervals. You don’t have to melt it completely, as the residual heat from the bowl, chocolate, and the half-and-half you’ll pour over it will melt it the rest of the way. Set aside. In a small bowl, combine the corn starch and 1/4 c. of the half-and- half and stir still smooth. Set aside. Heat half of the half-and-half with the sugar on the stove slowly, stirring often, to the boiling point. When the half-and-half has reached the boiling point, stir in the corn starch mixture and gently boil for another 2 minutes or so, while stirring. The mixture has to boil in order for the corn starch to thicken effectively. Stir in the rest of the half-and-half, the vanilla extract, alcohol, and pinch of salt. 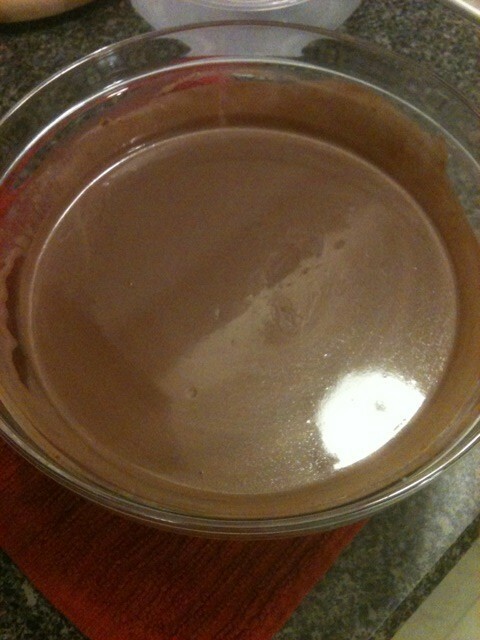 Let the mixture cool on the counter and place in refrigerator overnight. Place in freezer for 1-3 hours. Freeze mixture according to your ice maker’s instructions. 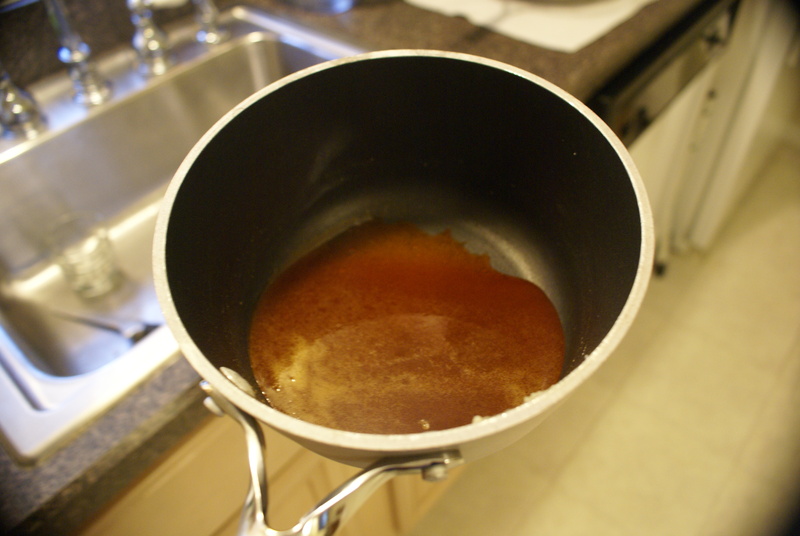 Add about 1 1/4 cups of half and half to the pot and stir until the caramel is dissolved. In the same pot, bring about another 1 1/4 cups of the half and half and the rest of the sugar to a boil. When the half-and-half has reached the boiling point, stir in the corn starch mixture and gently boil for another 2 minutes or so, while stirring. The mixture has to boil in order for the corn starch to thicken effectively. 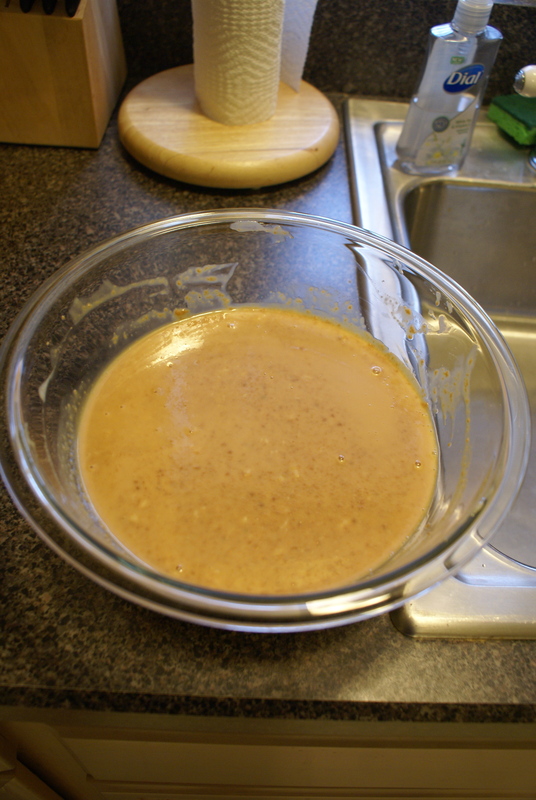 Pour the half-and-half and corn starch mixture into the bowl with the caramel mixture. Pour in the remaining half-and-half and stir to combine. Your blog is great!! !I wish we lived closer so you could share some of your amazing creations with us.Sorry I missed your call …I’ll call you tomorrow.